Expensive software and equipment is pretty worthless without the quality machinists that know how to utilize the technology. At Tag Team Manufacturing, we create a work environment where machinists make a career, where staff is constantly queried for ways to make things better and where machinists are rewarded for making quality parts. We pride ourselves on being a lean machining facility and lean manufacturers. Tag Team Manufacturing has experience in producing products made from a variety of materials including aluminum, plastic, stainless steel, carbon steel, brass, copper, and most alloys. We have an excellent network of support vendors that provide plating, painting, welding, heat treatment, brazing, etc. Tag Team Manufacturing continues to invest in its infrastructure which allows us to compete with the new and increasing demands from OEM’s. The most recent of these investments has allowed us to boost their capacity in cnc production, meet shorter delivery demands, and reduce overhead costs all without losing our well-earned, reputed, high quality. Through manufacturing automation, the company has been able to increase labor productivity and reduce costs while paying closer attention to customers’ needs. Incorporating automation has improved worker safety, made product quality more consistent and helped to add processes that could not be accomplished manually, including for rapid delivery machining and as OEM manufacturing support. As part of our continued path to automate, Tag Team Manufacturing has added a new member to our team, Sawyer, a revolutionary new high performance, smart, collaborative robot by Rethink Robotics. Sawyer has contributed to the production capacity at Tag Team Manufacturing. At 120 lbs, he is able to perform a wide range of tasks within the manufacturing facility. He has seven individual degrees of freedom with a 4.13 foot reach. This allows him to operate within our Denver Manufacturing facility. Its sensors are accurate with movement control, alignment and various position adjustments. His design and lifting ability up to 8.8 lbs, allows for a variance of assignments, utilizing an increased amount of safety precautions and movement controls working efficiently for and alongside his human co-workers. Because Sawyer only takes up about four square feet of factory space, he easily fits near all our CNC equipment. The robot takes up about the same amount of space as a drill press, which only performs one task and requires 100% human attention. Sawyer can do the work of several different machines simultaneously with practically zero human input. Sawyer’s integrated visual interface enable workers to anticipate its movements, and to communicate in real time- hence Sawyer is collaborative. This in essence transforms the robot into something like a set of robotic hands that are always at work for the floor team. Best of all, Sawyer can even be set to operate alone and accomplish thousands of manufacturing steps completely independently. We have been the #1 machined components provider in Denver to our clients for more than 30 years. Sawyer, the “smart” robot communicates directly with the CNC machine at our colorado machine shop for tending, testing procedures and precision. He can test, package, line load, box assemble, CNC tend, PCB handle, metal fabricate and mold. Sawyer operates a single arm with the capability to execute machine tending, circuit board testing and other needed tasks on the plant floor. Sawyer’s position allows Tag Team Manufacturing the addition of a third and fourth shift work period. Sawyer can be programmed to perform different tasks and also, trained for new ones! After learning each task, Sawyer can easily switch between them throughout the shift, multiplying Tag Team’s floor production capacity. Sawyer’s visual interface simulates eye movements in real-time allowing for anticipation of his workflow by surrounding humans. Sawyer also possesses built-in cameras and pressure sensors to detect movements, particularly obstructions in his work path. If any obstruction is sensed in his immediate environment, he will cease working and signal for help. This reduces the damage risk on the floor and serves as a safety measure in the manufacturing process. Sawyer also reduces the risk of injury, protecting human employees from performing these tasks, increases time productivity and reduces human errors. 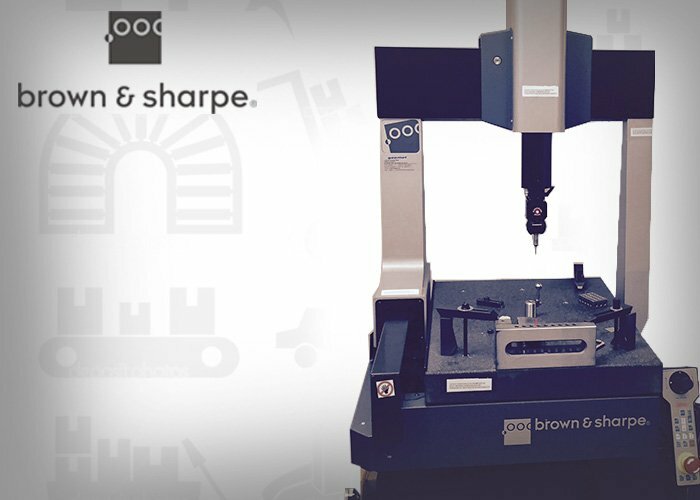 The SmartScope has added precision necessary for checking thousands of small parts, efficiently.This instrument has allowed us to ensure quality and meet demanding delivery schedules. The Coordinate Measuring Machine allows us to print the dimensional reports and accompany those with the parts delivered to our clients, thus reducing client QC costs and evaluations. Through the smartscope, our process has become the most accurate and consistent. With a high-quality smartscope, we are able to stitch together a series of photographs which are then measured to within .0005. At Tag Team Manufacturing, we continue to expand our capabilities within robotics manufacturing. We pride ourselves on our abilities of rapid delivery manufacturing and low cost machining within the Denver manufacturing industry. Our implementations of these technologies continues to increase production, boost delivery figures and product volume. Originally developing first manufacturing prototypes, Tag Team is an automation machining leader within cnc production. Tag Team Manufacturing will continue to be a machining supplier, manufacturing supplier and offer OEM manufacturing support to continue to drive business success and stabilize relationships with consumers. Read more about Sawyer, "The Smart Robot"